- : Intensely moisturizes, nourishes and revitalizes hair and scalp. - : Helps to protect hair collagen. 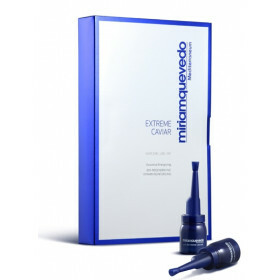 - : High antioxidant and anti-irritating action. 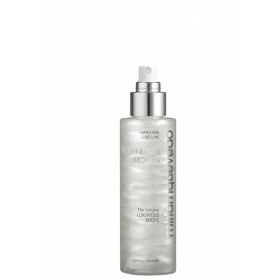 - : Protects and repairs the hair’s hydrolipid barrier. -- : Conditioning and protective properties. - : Helps to restore the hair’s electrostatic balance. 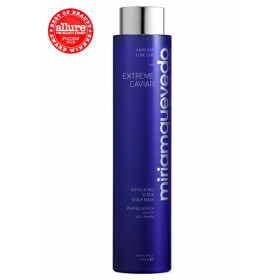 - : Restores extreme silkiness without weighing hair down. - : Provides new body and texture. - : Avoids hair breakage from brushing. - : SIN PARABENOS. SIN ACEITE MINERAL. SIN FTALATOS. SIN PARAFINA. SIN PETROLATUM. Apply a small amount of the highly concentrated mask to wet hair and scalp, and massage. Spread through the hair with your fingertips, in fine strands from root to tip. Leave on for between 5 and 15 minutes. Rinse with plenty of water. Use 1 to 3 times a week. Organic Goji Extract: Concentrate of vitamins (B and C), minerals, amino acids and others. It has high antioxidant action. Orchid: Has hydrating, smoothing, anti-irritant and antioxidant properties, making it ideal for use in hair care products to protect hair against the daily aggressions of free radicals. Conditioning Agents: Provide softness to the hair, gives shine and silkiness without weighting it down. Multi-vitamin B complex: It increases the protective and regenerative capacity on the hair keratin.